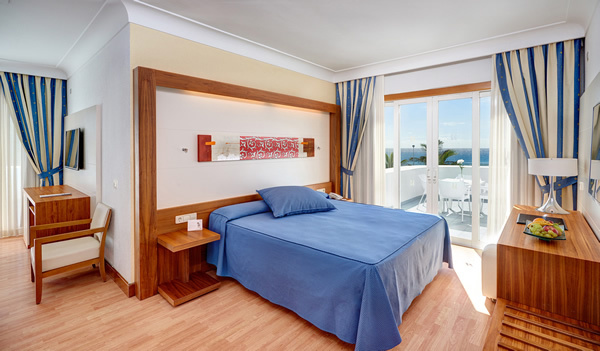 The friendly 4 star Hipotels La Geria Hotel is situated a convenient 5 miles from Lanzarote's Arrecife airport in the popular resort of Playa de los Pocillos and near to the lively resort of Puerto del Carmen. 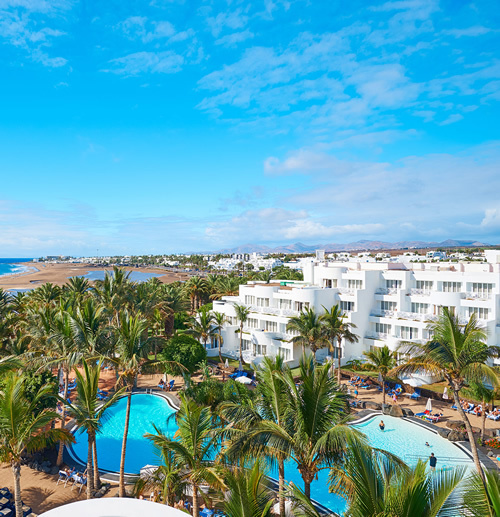 The La Geria Lanzarote is a traditional, well-run and well-established hotel enjoying a large number of repeat customers attracted by the enviable location, good service, holiday facilities and the relaxing gardens and pool. This hotel and resort would suit a wide variety of holiday makers, particularly those who would like to enjoy a quiet location during the day with the option of sampling the nightlife and big resort facilities that are available within an easy reach on the occasional evening. There are many steps within the complex so would not suit those with walking difficulties. The La Geria hotel has 222 tastefully furnished double rooms on four floors, all offer private bathroom with shower and hairdryer, air conditioning, satellite TV, mini-bar, safety deposit box (local charge) and balcony or terrace. In addition the hotel has 14 single rooms and 6 suites. Room service is also available. 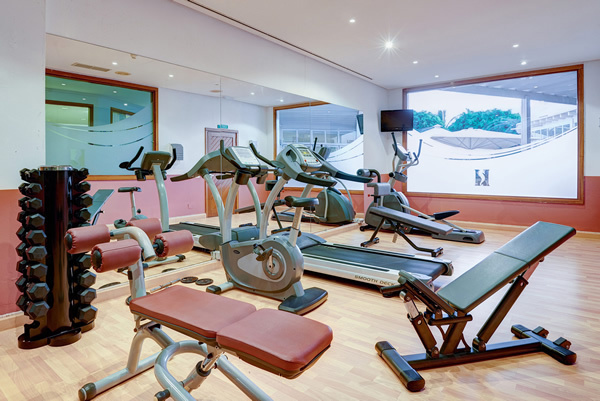 The hotel has a wide range of facilities for guests these include, a large swimming pool (heated in winter) with a children's section, grounds with ample sun terraces with sun beds and parasols, a hairdresser, a gym, a sauna, launderette, internet access, two tennis courts, a children's playground, conference rooms and currency exchange. During the day the animation team will keep you going with a program of fun events, you can play table tennis, tennis, and pool, or you can simply relax by the pool and enjoy the sun. 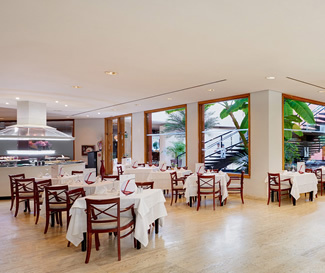 The main restaurant offers buffet style meals for breakfast and dinner, and there is an a la carte restaurant and a snack bar by the pool. 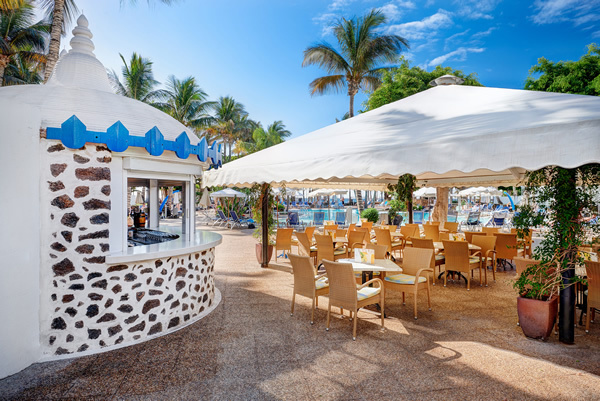 A short walk from the hotels beach front gate you will discover a variety of bars and restaurants and if you would like to venture a little further, taxis are easy to find for the short journey in to Puerto del Carmen. Evening entertainment is available in the hotel with live shows several times during the week. The reception is open 24 hours and offers wake up calls, there is an ATM, currency exchange, 2 Internet stations (coin operated) and free WiFi in the Hall. The La Geria also offers a bicycle rental service.